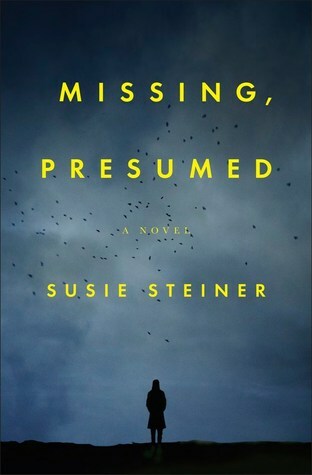 My thoughts: This is the first book in Susie Steiner's DS Manon series and I really enjoyed it. When I first picked it up, I had no idea it was the first book in a series - I had just seen it around the blogosphere, so I put it on reserve at the library and thought I would give it a shot - and I'm so glad I did! I love finding new authors/series to get hooked on! This book is the type that leaves you with so many questions as you make your way through it - both having to do with the case and about the characters themselves! I loved the change in point of view and how we really get to know quite a few of the characters - their inner minds, so to speak. This sort of sets it apart from some of the other books in a way, and I liked that. We hear from not only Detective Manon, but also Davy, Manon's partner; Miriam, the missing girl's mother; Helena, Edith's best friend, and Edith, the missing girl. I really liked DS Manon - she's a strong female character, yet she's flawed and troubled at the same time. This makes her so much more relatable. I loved getting to see the personal side of her - her forays into internet dating and all that go with it. This again makes her more real. This was an interesting case that the team was working on and I found it interesting to see all the dynamics come to play - the case starts strong, everyone involved, but after time, it starts to lose cohesion and focus. Susie Steiner does a great job relaying this in her book - making you as the reader feel the intensity start to dwindle on the case, after time has passed. I'm so glad that this is not the last we have seen of DS Manon - I think this is going to be a great new series and I'm so glad I found it when I did! Now I just have to be patient until the next book comes out!!! Audio thoughts: This is the first time I've listened to Juanita McMahon narrate and I thought she did a great job with the narration. She did a great British accent and gave each character their own unique voice. She pacing and characterization was spot on. I really do hope she continues to narrate this series.